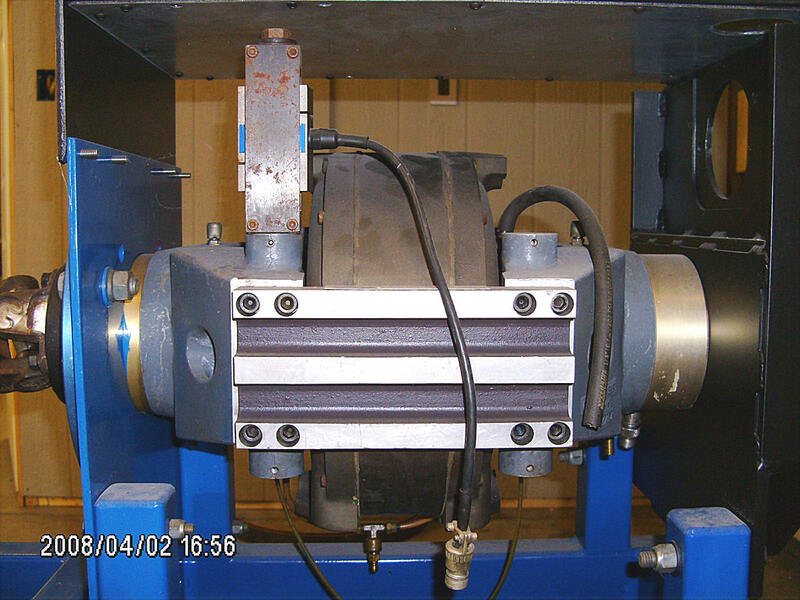 Some Dynamometers use water as a load mechanism during engine testing. 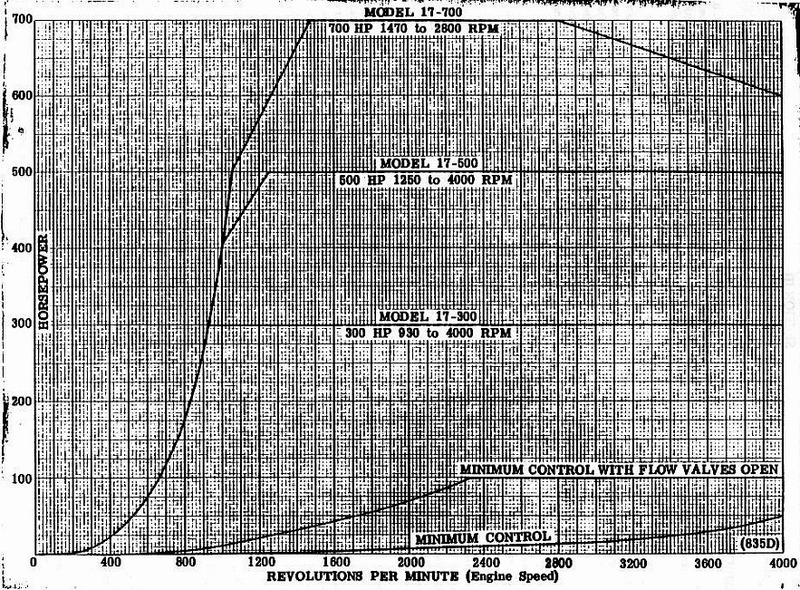 Water flow proportional to desired applied load is used to create resistance to the engine or motor. 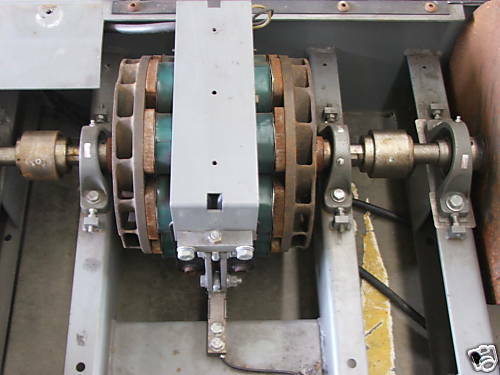 A controlled flow of water is directed at the absorber center, and via centrifugal force, is expelled towards the outside of the dynamometer and into the stator. 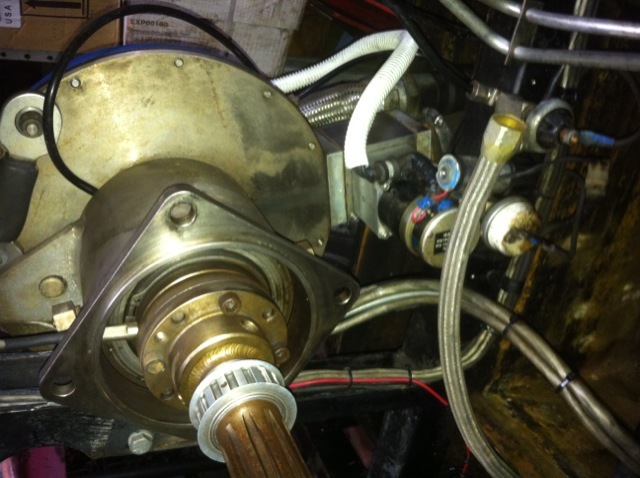 As the water hits the stator, it decelerates, causing an applied load to the input device. 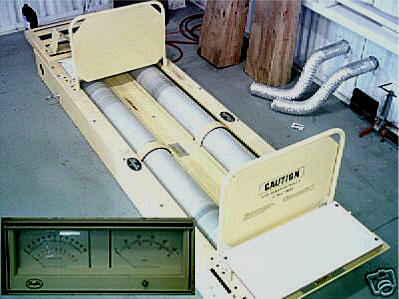 Through the water's continual acceleration and deceleration, load may be controlled and measured. 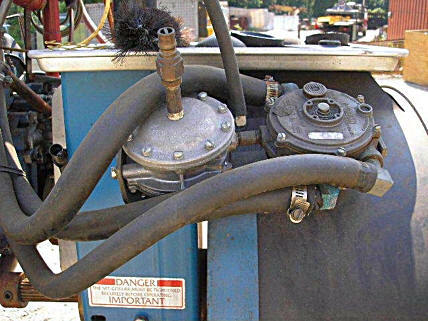 This is a very effective and safe way to measure the performance of an engine running under a controlled load. 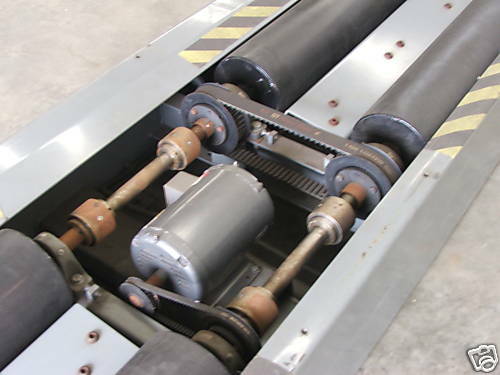 The dynamometers feature water as a braking mechanism, (or absorber), hence the name waterbrake. PRECISION RACING (ESP) PDA- 250 DYNO, NEW. 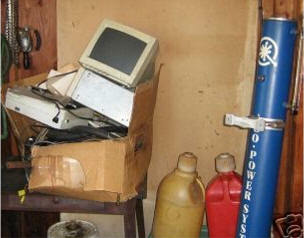 It is just the dynamometer and not the computer, which can still be purchased very easily. 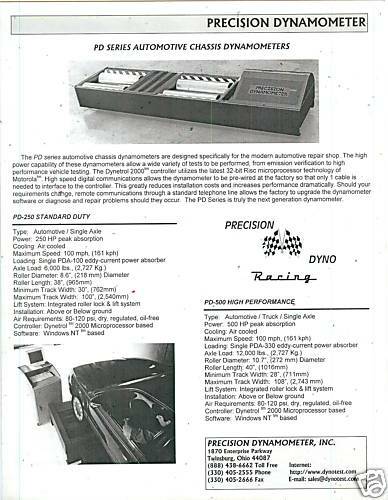 The dyno was made by precision dyno racing for ESP emissions testing. Right now the dyno is set up for 250hp max but with a different PAU can handle much more horsepower. 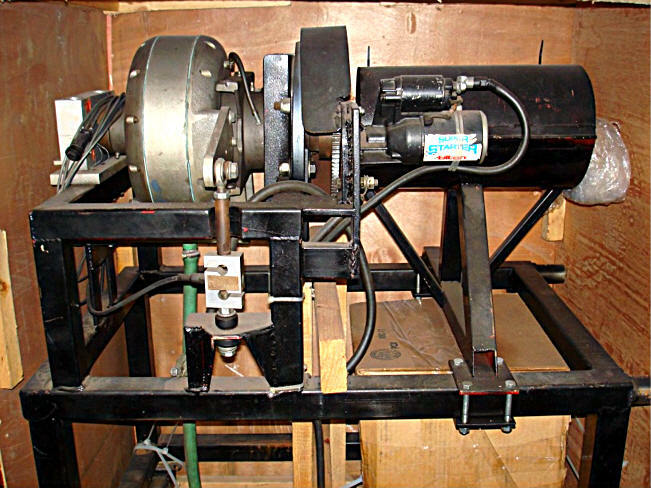 THIS IS AN OLDER MUSTANG CHASSIS DYNAMOMETER THAT WAS ORIGINALLY USED FOR SPEEDOMETER CALIBRATION. IT ORIGINALLY USED A PANEL THAT WOULD DISPLAY MPH AND AN ELECTRO/PNEUMATIC ACTUATOR THAT WOULD APPLY THE DISK BRAKES TO STOP THE ROLLERS. 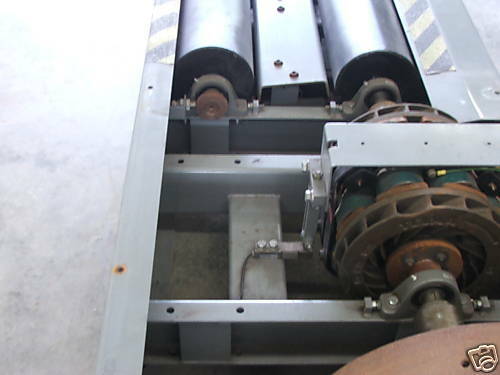 IT HAS BEEN SINCE MODIFIED BY ADDING A HAND ACTUATED BRAKE LEVER CONTROLLING THE DISK BRAKES TO ADD A LOAD OR STOP THE ROLLERS. 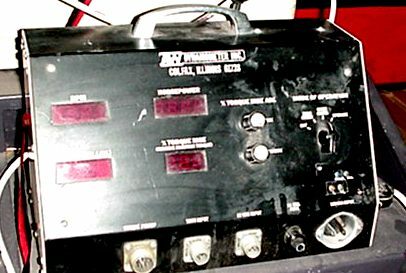 THE ORIGINAL CONTROL PANEL/DISPLAY POWERED UP BUT DID NOT ACCURATELY DISPLAY THE MPH. IT WAS DISCONNECTED AFTER A QUICK CHECK WITH MUSTANG DID NOT PRODUCE GOOD FEEDBACK AS TO THE AVAILABILITY OF PARTS FOR A DYNO OF THIS AGE. IT IS IN GOOD CONDITION AND WAS USED RECENTLY FOR TESTING SMALLER INDY TYPE RACE CARS. 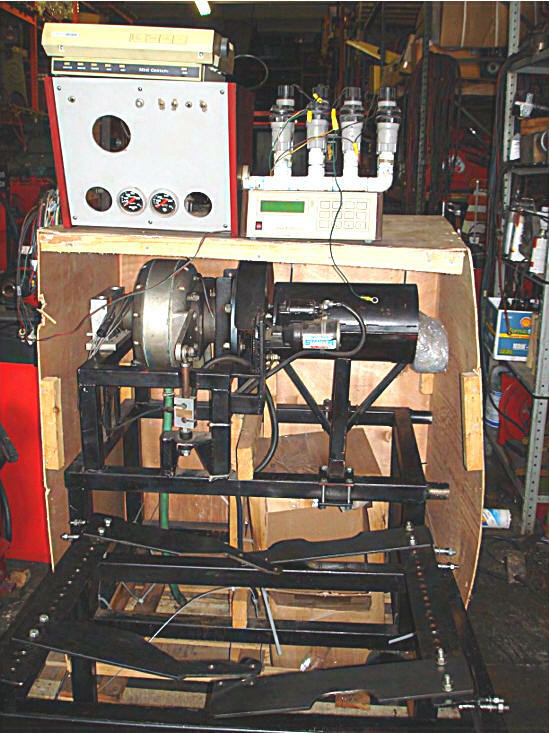 SOFTWARE WITH APPARATUS TO ACCURATELY MEASURE HORSEPOWER IS READILY AVAILABLE FROM A NUMBER OF SOURCES ONLINE. ONE WAS AS LOW AS $175. I INVESTIGATED IT'S USE AND THE KNOW LEGIBLE OPINION OF THOSE I SPOKE WITH WAS THAT CONSIDERING IT'S SIZE AND WEIGHT OF ROLLERS ETC. IT COULD ACCURATELY MEASURE HP IN THE 150HP RANGE. YOU CAN ADD A LOAD WITH THE BRAKE AND "ABSORB" MORE HP BUT WITHOUT ADDED MASS I.E. A FLYWHEEL OR SOMETHING IT WOULD NOT BE ACCURATE. The Go Power model 813 will handle 50 to 1000 horsepower and up to 10,000 R.P.M. Controls are integrated in a desk height console. 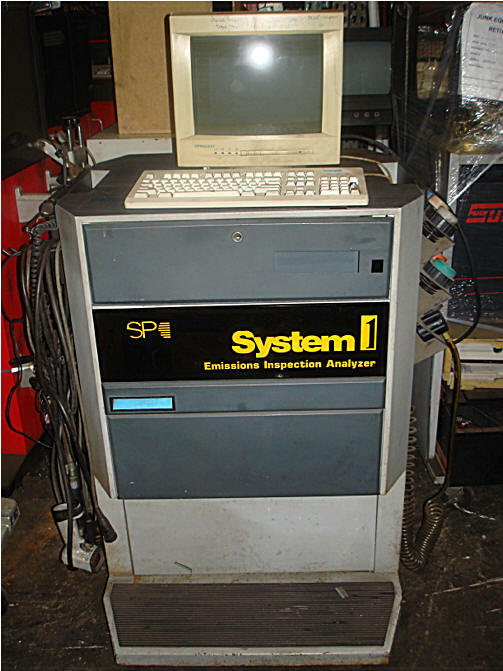 This dyno includes a computer system and an analog system and can be used either way. Engine is bolted to a bell housing for small block and big block Chevy and other motors. This is a great tool to test run in your performance engines. 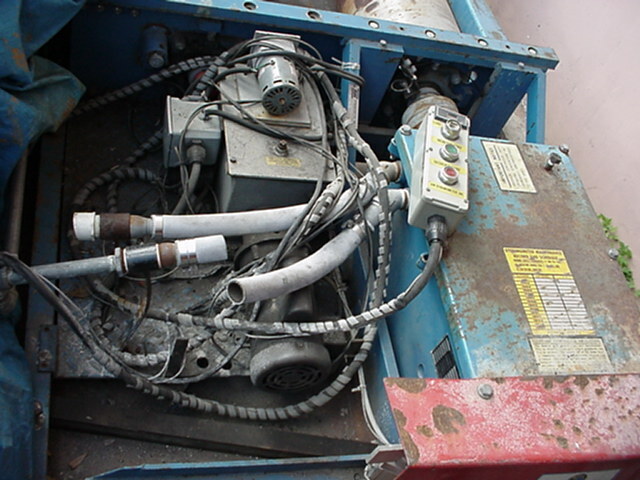 Includes Cooling Tower, water valves, adaptors, controls, hoses, stand. 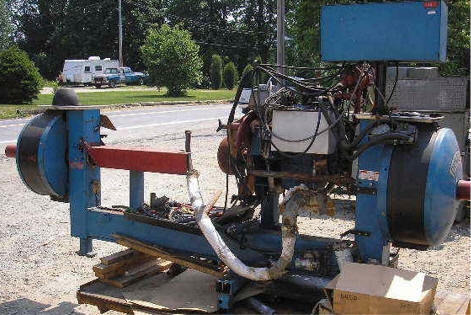 You are looking a very lightly used engine dynamometer water brake model D-516. 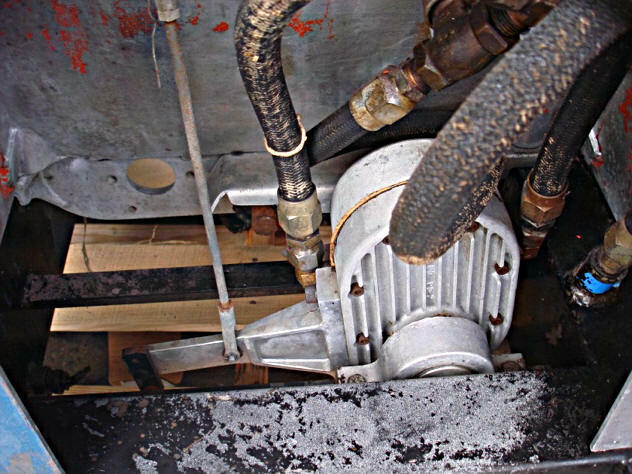 This water brake was used a couple of times to test a 29 Hp electric motor, it is rated for 800 Horsepower and 800 Ft-Lbs of torque. It was determined to be too larger for the application. 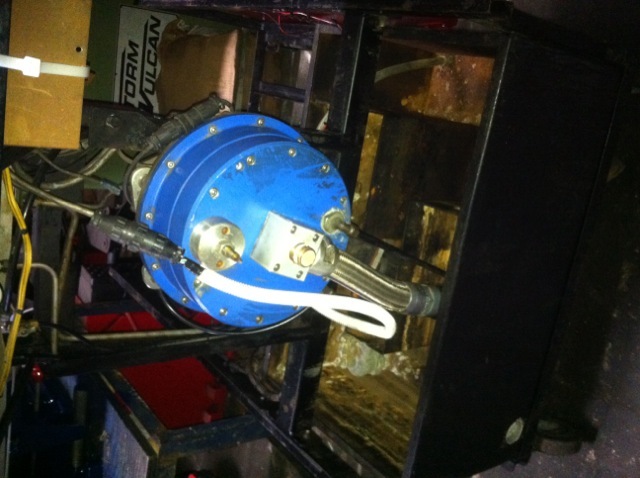 This unit is approximately 12 years old, but has spent most of its life on a shelf in a climate controlled shop. THIS IS JUST THE WATER BRAKE. 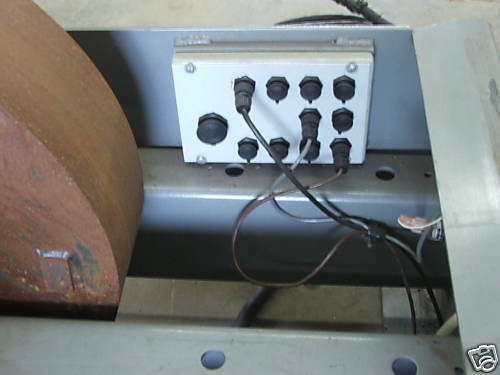 This unit has a built in tachometer on the end, which will allow for RPM to be measured. 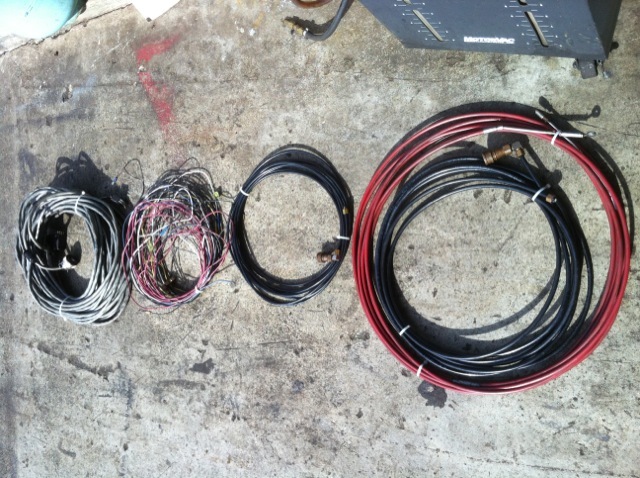 This does not include the load cell or any other data acquisition equipment. 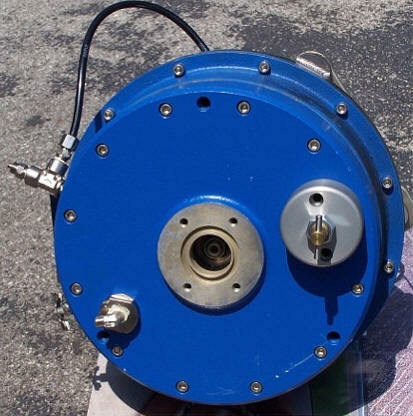 I have contacted Go Power Systems, who is owned by the Stone Bennett Corp. (www.stonebennett.com/Dynamometers.html), the sales rep. told me to replace this unit I would have to spend $10,000. 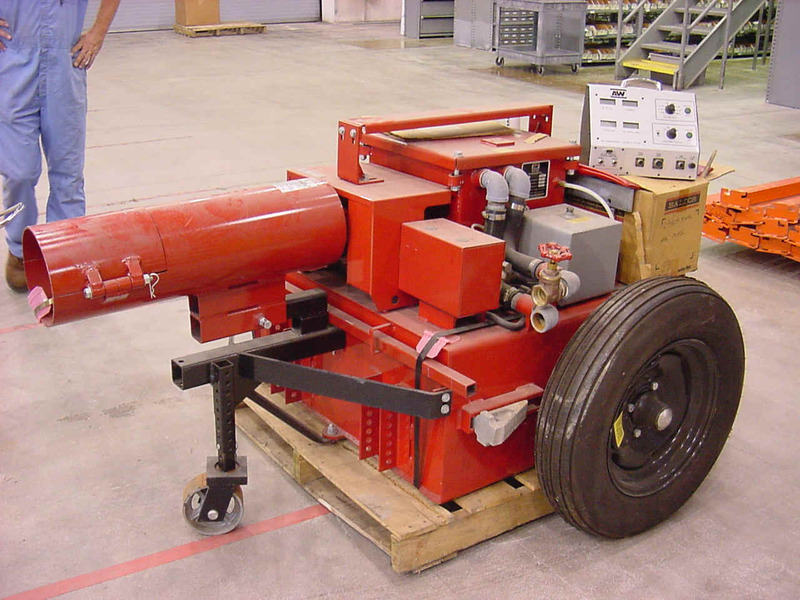 This unit is still serviceable and the needed equipment to make this fully operational can be purchased through Go Power or from any source that sells load sensiing equipment. 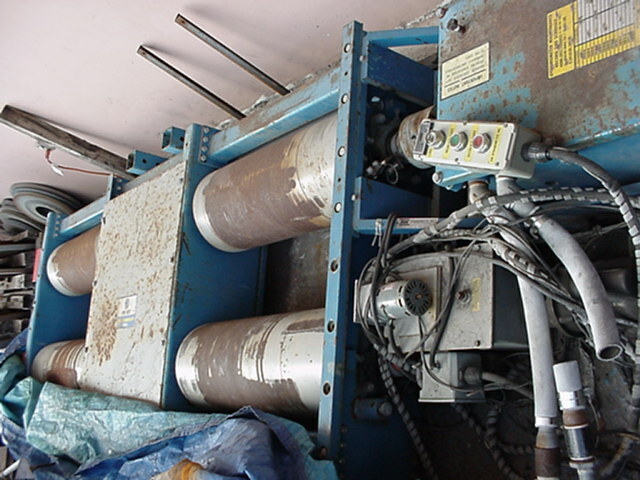 Water consumption is around 50 GPM at full load. 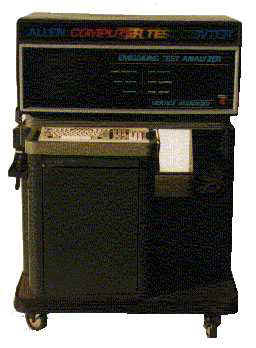 The max RPM is 5000 continuous and 10,000 intermittent. AXI Line Transmission dyno. 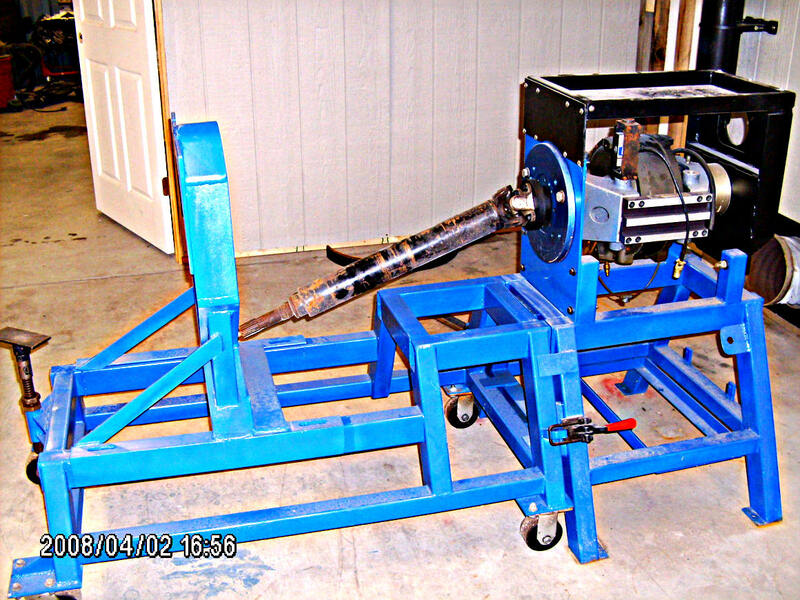 Uses a six cylinder GM motor to power the Dyno. Includes many accessories. All parts and adaptors are available from SuperFlo. 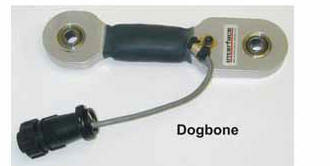 Go-Power D-557 water brake dynamometer serial #: DH-2472. Unit can be set up as a fixed base or as a portable setup. 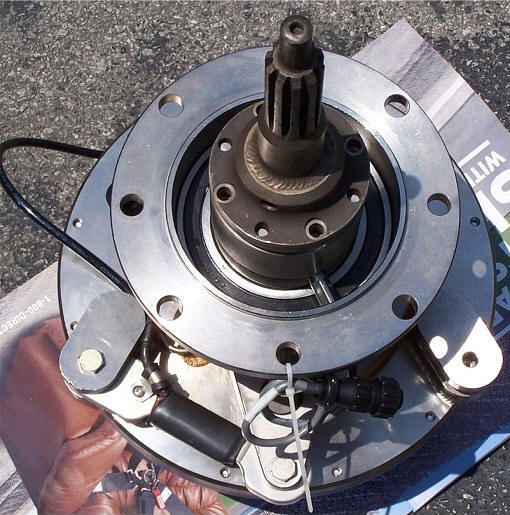 It comes with a splined input shaft to mount up to most bell housings. 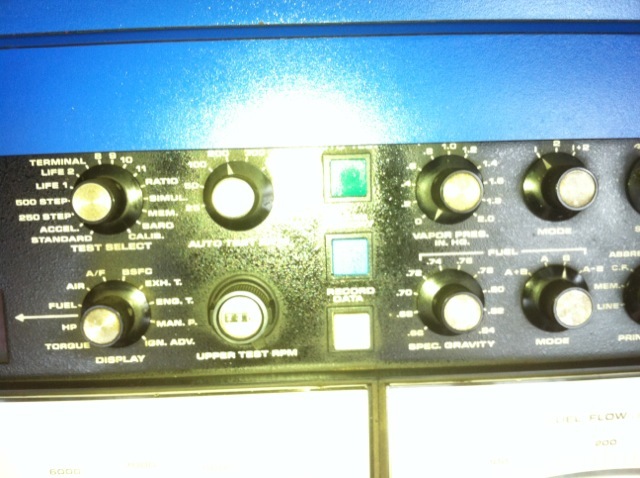 This unit was in a laboratory setting and is in perfect, near new condition. 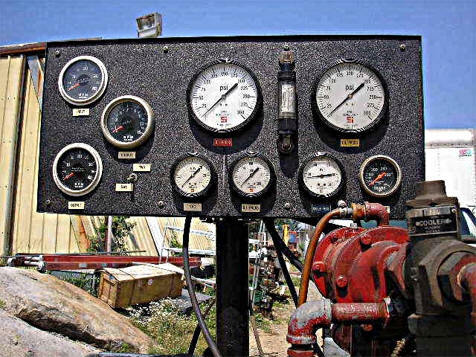 It comes with three sets of digital instrumentation to monitor the dyno and engine mounted in a roll around consol. 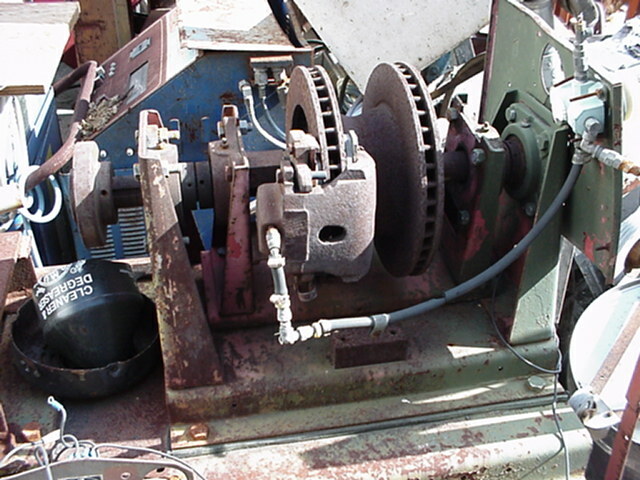 There is a load cell and a tachometer pickup on the unit that hooks right into the instrumentation and is in excellent working condition. Operation manual included. The water brake weighs 250 pounds and would have to ship via truck or local pickup. Please contact me with any questions not answered here in the description. 250 wheel HP model. 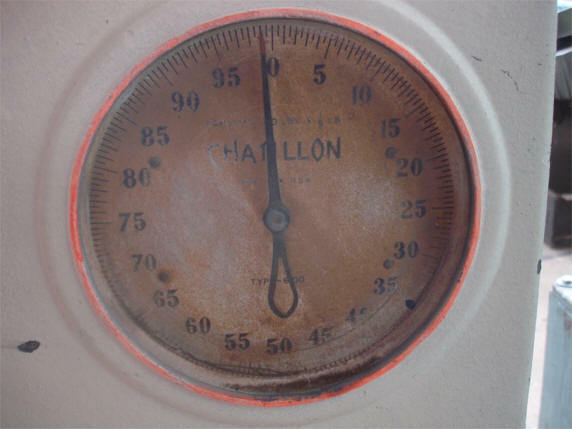 Analog dial display of HP and speed. Pendant controlled load. Water brake dyno. 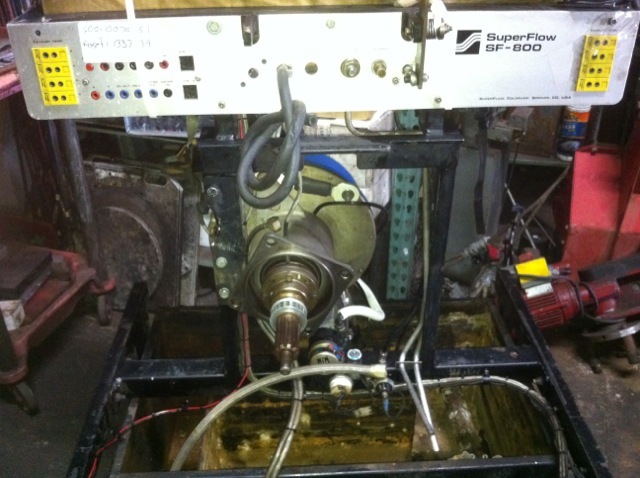 This dyno was purchased new in 2001 and was still in the crate from its manufacture date of January 1990. 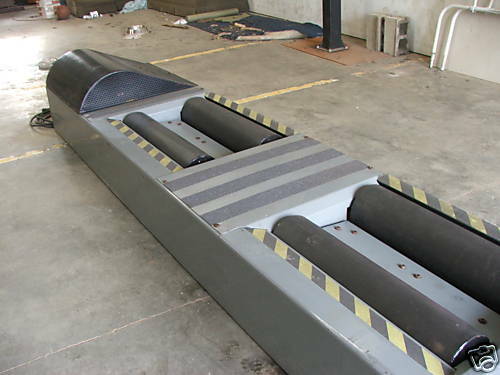 We have used it for engine tuning, simulating light to medium loads. It is in very good condition. It can be mounted above or in ground. It comes complete with all items from the new crate. This dyno is ideal for tuning, speedometer testing and vehicle driveline / driveability diagnosis without the need to put the vehicle on the street.
. The approximate weight is 1,500 lbs. 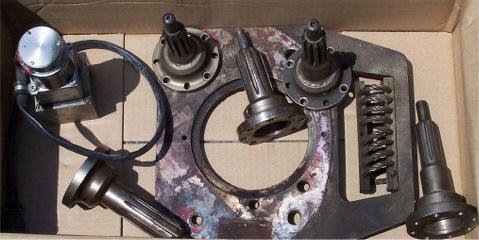 Service and parts are available through Clayton. 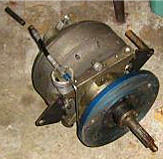 Go Power model DY-TD small engine dyno. 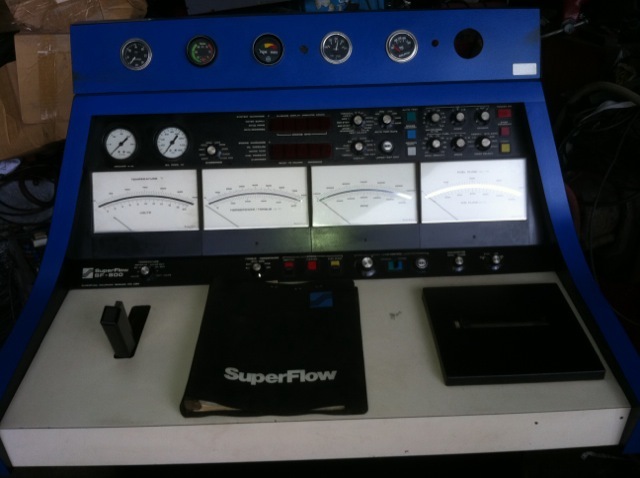 Includes gauge, torque meter, Nice original condition. 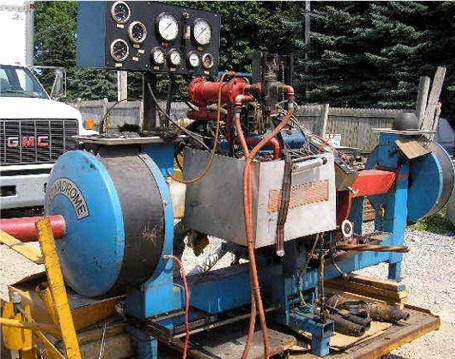 THESE UNITS WERE USED FOR EDUCATIONAL TRAINING ON SMALL ENGINES COULD ALSO BE USED FOR TUNING RACE ENGINES OR SAE PROJECT CARS. 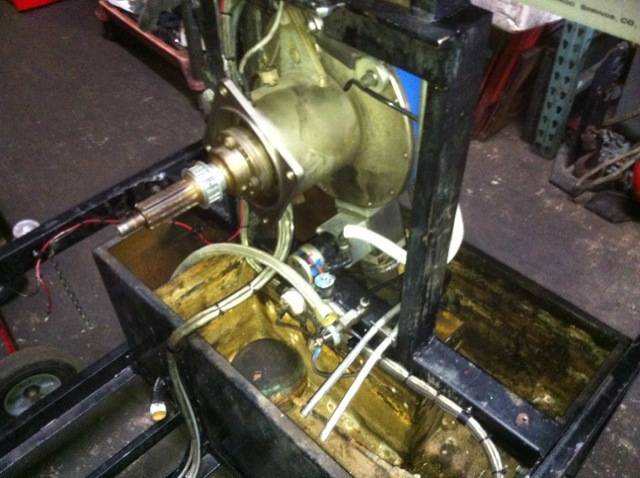 THIS UNIT IS A WATER BRAKE MODEL THE HYDRAULIC PRESSURE UNIT HAS BEEN REMOVED BUT IS INCLUDED OR COULD BE UPDATED TO USE A LOAD CELL. These photos are from the UNDERSIDE that goes into the ground or against the ground. This is the original paint. Not a whole lot of use on this machine. GREAT CONDITION. PURCHASED FROM SCHOOL. 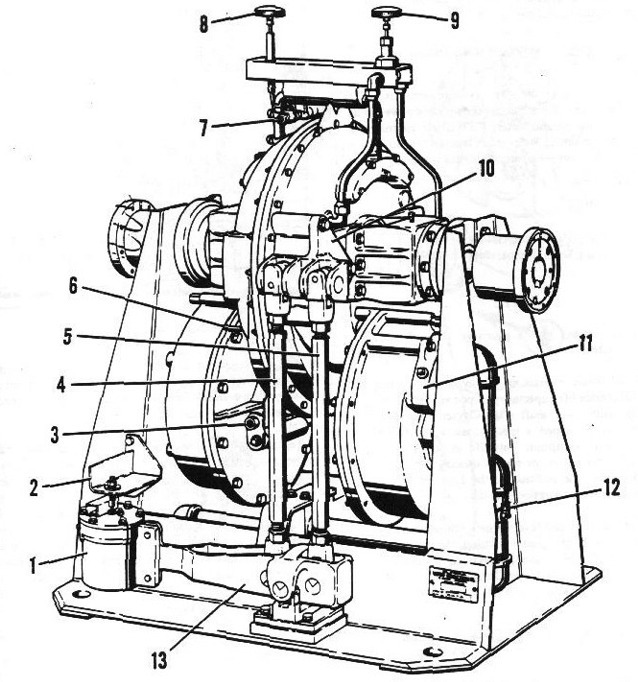 Electric Motor Dynamometer. 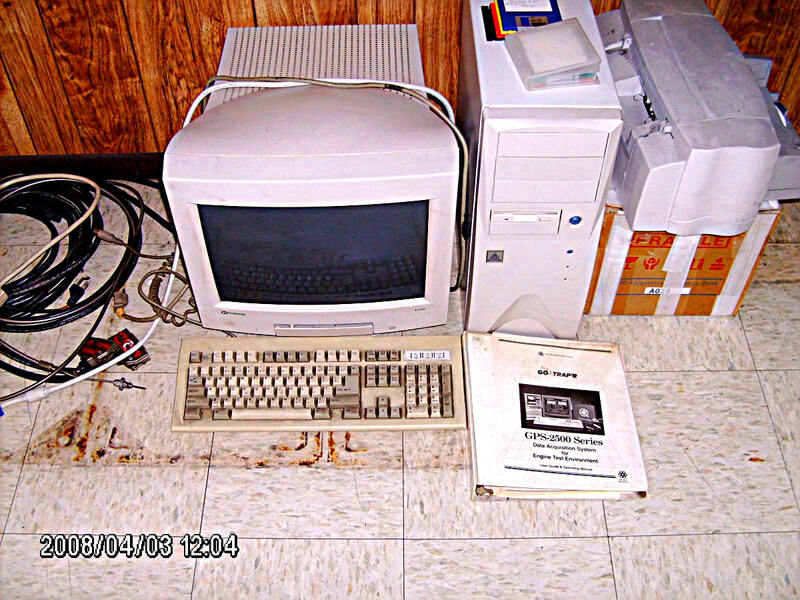 Purchased new in 1994 and never been used. will test up to 300 Horse Power electric motors. New price is $16,000.00 Asking $9,500.00 for this one. These are current photos. 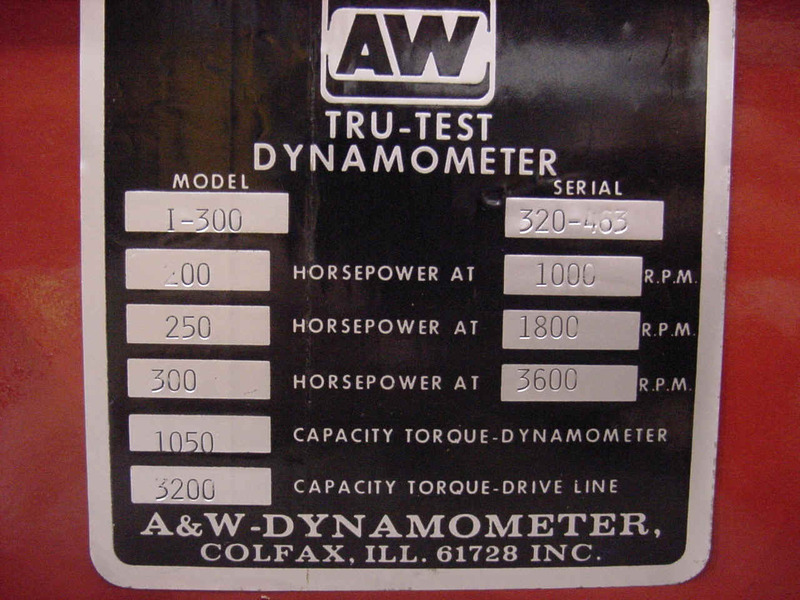 Manufactured by AW Dynamometer Co.
condition. Original paint. very little use on it. Has remote control pendant. 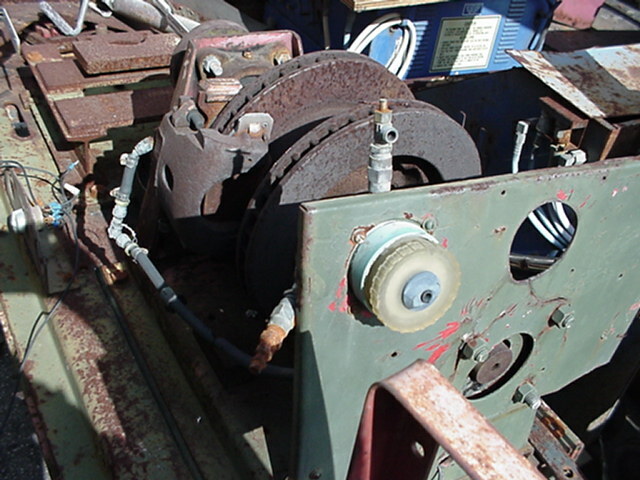 Uses a disk brake as the drag friction. 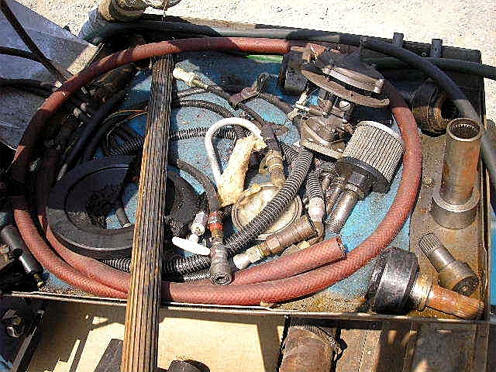 No gauges included, needs work to get it working. Rough condition. 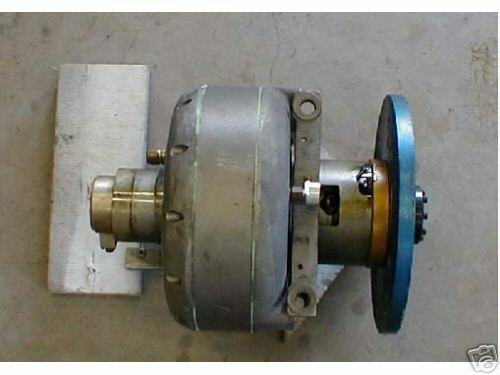 Uses air, through a valve (included) to actuate a disk brake. there is room to add a second disk brake. 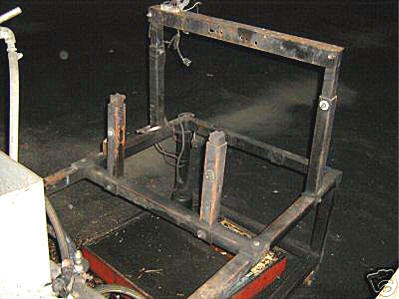 Is built on a stand for a smaller size engine.